It's already week 3 of the One Room Challenge! I've reached the halfway point and I couldn't be more excited! 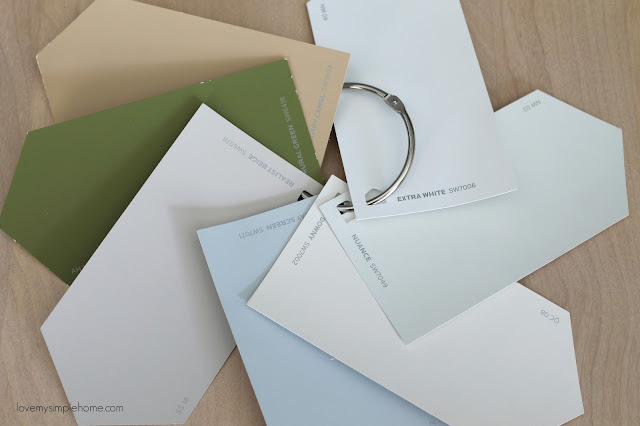 Last Week I talked about the Sherwin Williams paint color for the room that I absolutely love! 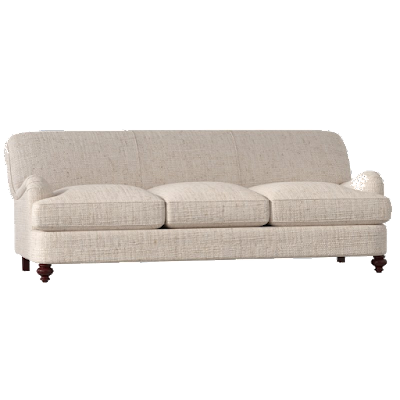 The paint color is a creamy white. 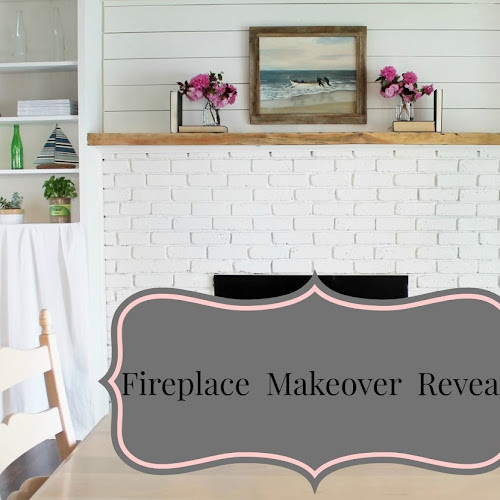 I think it is the perfect backdrop for the coastal style I am going for in the living - family room. 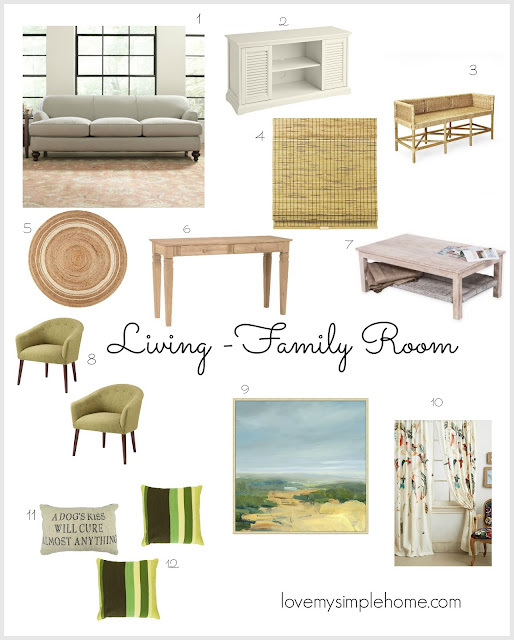 You can see my design plan for the room HERE. This week I'm happy to say the walls are painted and I purchased window treatments and an area rug. 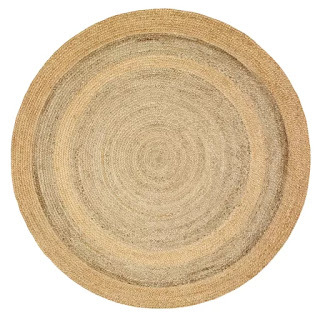 I found a simple round jute rug from Wayfair that I think will look pretty with the white walls. There are three tall windows in our family-living room so dressing the windows can get expensive. My original plan was to purchase bamboo privacy shades but after doing some research I realized they were out of my tiny budget. I was extremely disappointed that I couldn't buy the shades of my dreams, but I had to move on. I decided to search Target and Home Depot for roller shades. I found some affordable ones that are woven and have a privacy backing. I feel they will be a good alternative to the bamboo shades. Did I mention I am doing this project solo this time around? How do you think I'm doing so far? That's my update for week three. Don't forget to check in on the progress of the other ORC Guest Participants.